Barcelona, Spain, site of this year’s EORTC-NCI-AACR Symposium on Molecular Targets and Cancer Therapeutics. 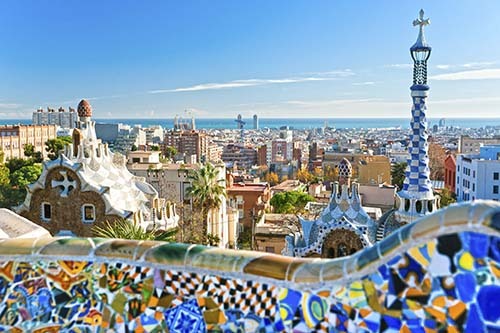 Next week, November 18-21, Barcelona—the city of culture, architecture, and world-class soccer—will host the EORTC-NCI-AACR Symposium on Molecular Targets and Cancer Therapeutics. The symposium is a premier scientific forum that brings academics, scientists, and pharmaceutical industry representatives from across the globe to discuss innovations in drug development and the impact of new discoveries in cancer therapeutics. We asked symposium co-chair Lee J. Helman, MD, scientific director for clinical research at the Center for Cancer Research and a senior investigator in the Pediatric Oncology Branch at the National Cancer Institute, to share his thoughts about new molecular targets and therapeutics to be discussed at this year’s meeting and some of the promising new areas to watch for in the future. Cancer research is a global enterprise. How does the EORTC-NCI-AACR Symposium on Molecular Targets and Cancer Therapeutics make sure to attract researchers from around the world? Lee J. Helman, MD, co-chair of the symposium. The symposium is hosted by three meritorious organizations that have a global presence: The European Organisation for Research and Treatment of Cancer (EORTC) is an independent research organization dedicated to investigator-driven clinical trials and translational research; the National Cancer Institute (NCI) coordinates the national cancer programs across the United States; and the American Association for Cancer Research (AACR) is a global scientific organization for cancer research. The reach of these organizations continues to attract to the meeting more than 2,000 researchers and entrepreneurs from nearly 50 different countries every year. On behalf of the young investigators who may not be able to make it to the meeting, can you tell us about some of the exciting new studies to be discussed this year? There are several notable topics that will be discussed at the symposium. There are a couple of reports on new drugs targeting the epidermal growth factor receptors (EGFR). The excitement around first-generation EGFR antagonists that showed promise in lung cancer patients with EGFR mutations has been somewhat dampened by the development of drug resistance, often due to a gatekeeper mutation. Some groups have now developed second- and third-generation EGFR inhibitors that are effective against these mutations. I think some real progress is being made in this space. In general, this year, I see an emerging theme of combining targeted therapeutic agents to circumvent resistance to single agents. Another area worth highlighting is the promise of combining a BRAF inhibitor with an EGFR-targeted therapy in certain colon cancers with BRAF mutations. It was reported several years ago that BRAF mutations, which are often seen as driver mutations in melanoma, could also be driving some colon cancers. However, colon cancers with these mutations do not respond to BRAF inhibitors such as vemurafenib, which show promise in melanoma. Previous reports suggest that this could be due to loss of feedback inhibition and possible activation of EGFR as a consequence of blocking BRAF. Based on these findings, a clinical trial will discuss the promise of combining BRAF inhibitors with EGFR inhibitors plus or minus PI3K inhibitors in BRAF-mutant colon cancer. Are any first-in-class drugs in development discussed at this year’s meeting? There are some interesting discussions of early clinical trials of first-in-class drugs targeting mutations in metabolic enzymes. One such enzyme is isocitrate dehydrogenase 1 (IDH1). Mutations in this enzyme were reported in a variety of cancers including acute myeloid leukemia, chondrosarcoma, and myelodysplastic syndrome, among others, a few years ago. A study to be presented at the meeting will discuss the safety and efficacy of the first-in-class drug AG-120 in IDH1-mutated hematologic malignancies. Another drug that targets a metabolic enzyme involved in the Kreb’s cycle, fumarate hydratase, will also be discussed in the context of kidney cancer. In the field of epigenetic therapy, a first-in-human phase I clinical trial assessing OTX015, a BET bromodomain (BRD) inhibitor, in advanced hematologic malignancies will address the safety and pharmacokinetics profile of this small molecule. What is new in the emerging field of cancer immunotherapy? I think what we can take away from several new reports on immunotherapy to be discussed at this year’s meeting is—immunotherapy has arrived. Our pillars of cancer treatment have traditionally been surgery, radiation therapy, and systemic therapy. I believe immunotherapy is rapidly becoming the fourth pillar. 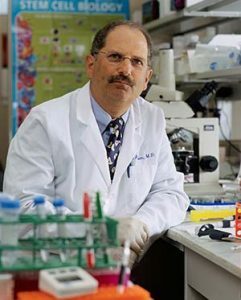 As with targeted therapy, the direction moving forward is to exploit the potential of combining different immune therapies, such as combinations of immune checkpoint inhibitors, as well as a better understanding of how we may integrate immunotherapy into other modalities of cancer treatment. I think what we can take away from several new reports on immunotherapy to be discussed at this year’s meeting is—immunotherapy has arrived. Another area emerging in immunotherapy is targeting mutations of a specific protein with T cells. Our increased technical capabilities to perform whole-exome sequencing of tumors bring to light some mutations that are not necessarily the drivers of a particular cancer; nonetheless, they may generate unique immunotherapy targets for that patient’s tumor. There are some reports, both in preclinical models as well as in the clinics, where a patient’s tumor with unique proteins, resulting from the so called “passenger mutations,” are targeted using immune mechanisms with promising responses. What are the potential areas to watch? We are likely to see to more work done to understand the interactions between specific cell-signaling pathways that will allow us to use rational combinations of targeted therapies and combinations of targeted therapies with radiation and chemotherapy. Another promising area to watch for is epigenetic therapy. I think we will hear more on drugs developed to alter the disorderly landscape of methylation and histone patterns in cancer cells. How will these important developments transform cancer patients’ lives? We have begun to treat tumors across specific organ sites with similar drugs. For example, a colon cancer with a BRAF mutation and a melanoma with a BRAF mutation may be wired differently, but they are likely to respond to similar drugs. We are also beginning to catch a glimpse of targeted therapy in some of the pediatric sarcomas. Of course, we would very much like to see more cures. With more emphasis on individualized therapies, we are certainly going to see more and more patients living longer, hopefully with decreased long-term toxicity that we see with current curative therapies, and of course, we would very much like to see more cures.